Reviews of Johnny Boggs, Western Writer. 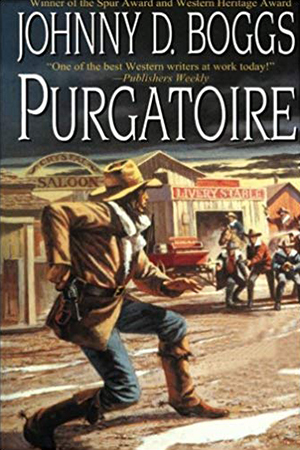 Western Novels and Western Fiction. True West: "Boggs' historical asides are aided by a narrative style that drive the story along full gallop." 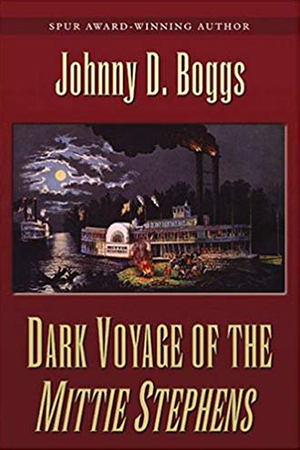 The Charleston (S.C.) Post and Courier: "Johnny D. Boggs tells a crisply powerful story that rings true more than two centuries after the bloody business was done." 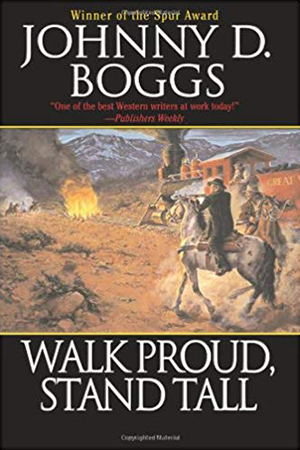 Booklist: "Boggs is among the best western writers at work today. He writes with depth, flavor, and color, all of which are evident in this right-of-passage tale. ...Boggs tells the familiar story with authenticity and power." Roundup: "Realistic dialogue, a little humor to lighten up the dramatic tension, a strong plot, and a sense of place that leaves one sneezing from the dust makes for one of Boggs's best novels. " Publishers Weekly (on Ten and Me): "Informed by accurate detail in almost every regard ...Boggs's narrative voice captures the old- fashioned style of the past and reminds a reader of the derring-do of western legends of yesteryear. " Booklist (on Ten and Me): "This is an entertaining western in the classic mold. The characters possess enough human frailty to be believable, the author includes interesting stuff on the weaponry of the times, and there is enough gunplay to satisfy genre purists. " Amarillo Globe-News (on Once They Wore the Gray): "Another dramatic story by a finalist for the Spur award of Western Writers of America." 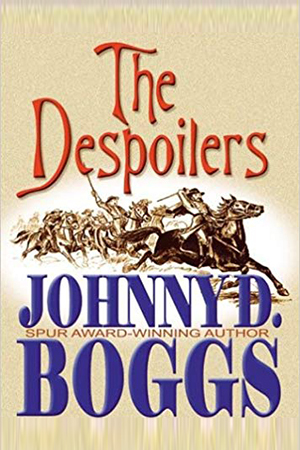 George Glenn, The Shootist (on Hannah and the Horseman): "I think Johnny D. Boggs is well on his way to being a major western writer." The Charleston, S.C. Post and Courier (on Hannah and the Horseman: "This book displays an admirable sense of percolating pace and point-blank prose." Fort Worth Star-Telegram (on Hannah and the Horseman): "Johnny D. Boggs moves his narrative at a lively clip, and it never turns mawkish." Roundup (on This Man Colter): "Humor, action, and a wonderful character in Gwen McCarthy make this a delightful read." Rendezvous (on This Man Colter): "If you're into the true wild west, you will enjoy this rugged tale set in west Texas." 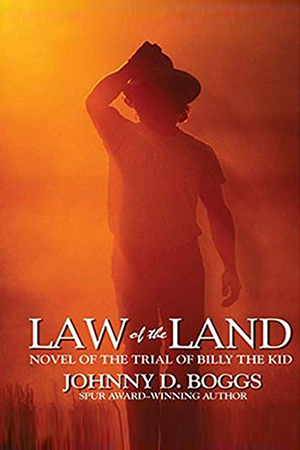 The Shootist (on Foundation of the Law): "As is to be expected with a Johnny Boggs novel, Foundation of the Law is full of those authentic historical details that make his stories so rich and believable." The Shootist (on Once They Word the Gray): "well worth reading, especially as it treats ...an aspect of the Civil War that is often slighted in the history books. " Robert Nott, Pasatiempo: "Great storytelling. ... Boggs manages to capture the entirety of the Kid's life with just the right balance of fact and fiction. The characters seem like people you know, even though they lived and died more than 100 years ago." Jackie Boggs, Johnny's mother: "While I was reading THE BIG FIFTY sometimes I would forget 'my favorite son' had written it." True West: "This ... continues a long needed look at those who brought law and order to the frontier -- not with six-guns but with law books." American Cowboy: "... a finely crafted historical novel with fully developed characters playing out their lives against the backdrop of early Texas settlement." Roundup: "This book stands head and shoulders above others of its kind." Booklist: "Boggs' carefully researched novel boasts meticulously drawn characters and captures in a striking way the amazing changes America underwent during the span of one man's life. 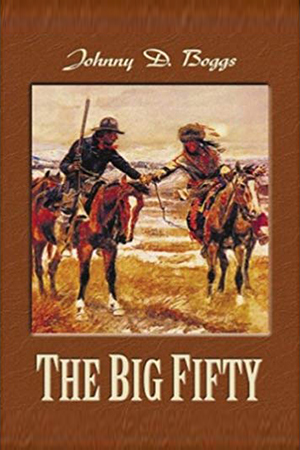 An unusual, very rich western that should attract not only genre readers but also baseball fans and Civil War buffs." 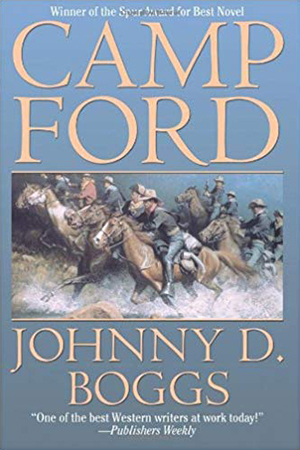 USA Today Sports Weekly: "As baseball stories go, Camp Ford by Johnny D. Boggs is a home run. ... Think The Longest Yard ... about baseball and without the glamour. ... timeless." Publishers Weekly: "Boggs’s quirky western doesn’t take itself too seriously, making this a fanciful and fun ride into some dangerous business." 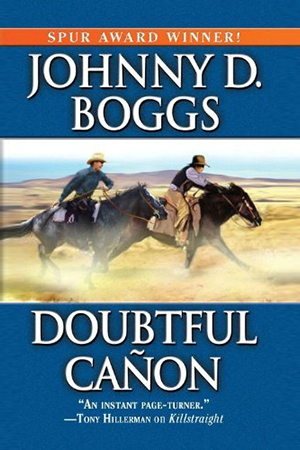 Santa Fe New Mexican: "Boggs delivers a colorful, clever and arresting tale." 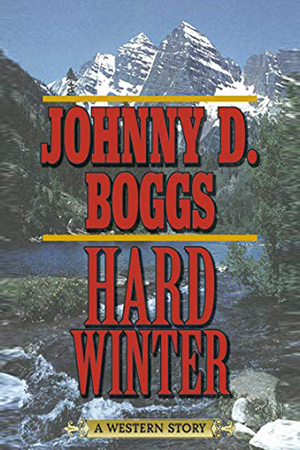 The Tombstone Epitaph: "uses its non-serious side to appeal to younger readers .... well-flavored tale ...."
Booklist: "Boggs, who writes with a finely honed sense of character and a keen eye for detail, combines historical fact with fiction to create a Revolutionary adventure from the vantage point of an average participant." 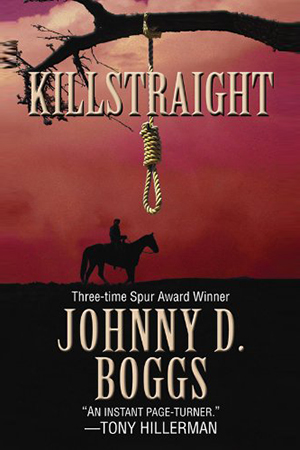 Tony Hillerman: “Johnny Boggs has produced another instant page-turner ... don’t put down the book until you finish it. 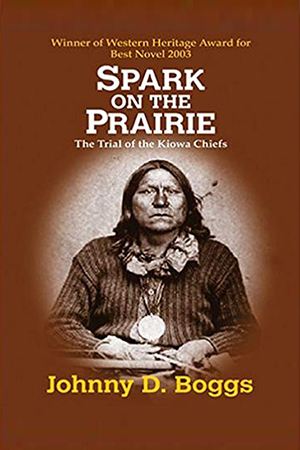 Publishers Weekly: “... the relationships and setting shine: Daniel — striving at once to solve the case and reconnect with Comanche ways — is a complex, winning protagonist." 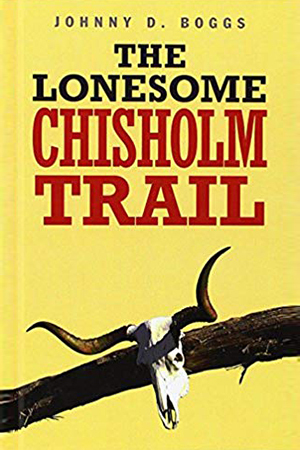 Booklist: “This is a rousing story with an emotional and philosophical depth that will surprise readers who don’t expect complexity from a western. Genre veteran Boggs also explores the clash between white and native cultures, presenting them as both fundamentally different and strikingly similar." 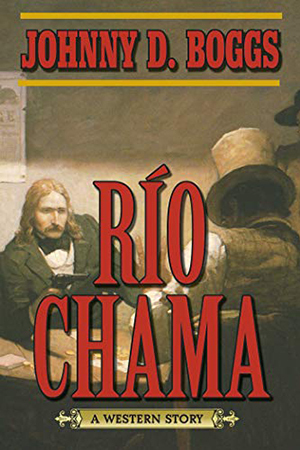 Roundup: "This is not a simple Western .... His familiarity with the landscape -- he lives near Santa Fe -- is a definite advantage as he puts the reader right into New Mexico and particularly through the rugged landscape along the Río Chama. And while this may seem to be a fairly traditional Western, the conclusion is anything but. Another good read." New Mexico Magazine: "Following or betraying one's loyalties and duties -- and the consequences of such choices -- lie at the heart of this well-paced, action-filled, and surprisingly affecting story of the West." 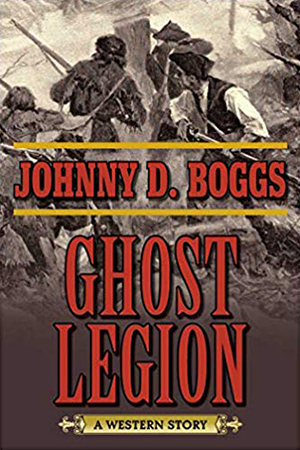 Booklist: "Boggs ... showcases his talent for period detail, atmosphere, complex characters, and the ability to evoke a stark landscape." 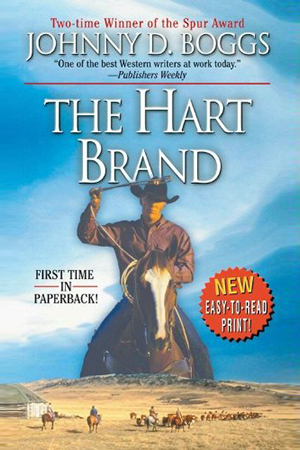 Tucson Weekly: "This is another fine novel by one of today's better writers of Westerns." 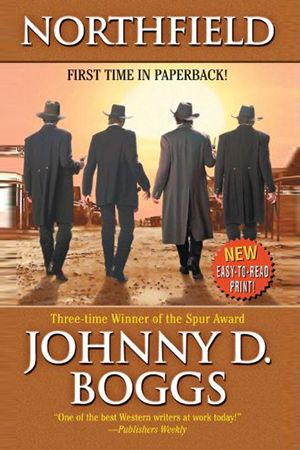 Publishers Weekly: "With hardly a shot fired, Spur Award-winner Boggs delivers one of his best westerns. 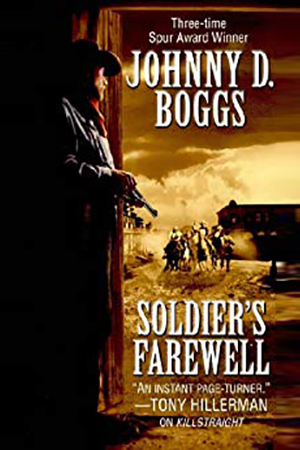 ... Boggs has produced a tender and suspenseful western that doesn't need to rely on gun smoke." 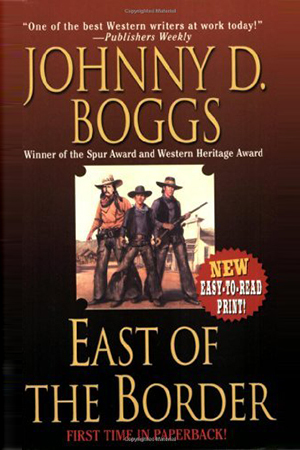 Booklist: "The prolific Boggs turns in another solid western. ... the characters are well drawn and engaging, and the final section ... is gripping." Roundup: "Boggs' warm, comfortable style brims with tight description and dialogue rich in understated humor in this moving novel of a man's youth ...."